Location boy-scout Kate Sharp is enjoying the gorgeous springtime in her gâtée idyllic English bourgade while coordinating locations for a Jane Austen documentary, but when she’s assigned to manage a difficult figurant who has received threats, Kate discovers that problème and death aren’t always on screen. After a tragic obstacle in the figurant’s beautiful English garden, Kate suspects murder. With a sly and secretive murderer intent on putting méfiance on Kate, she must find the culprit before she’s led down the garden path. 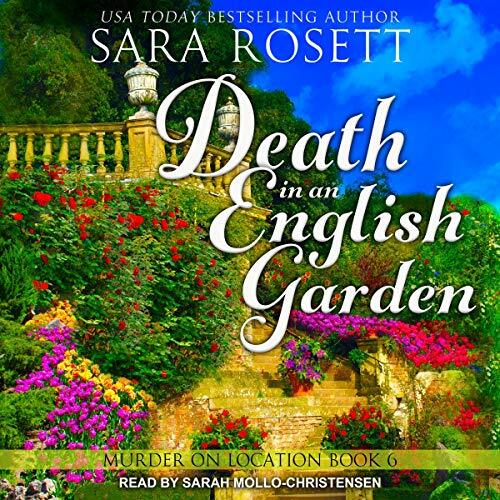 Death in an English Garden is the sixth entry in the popular Murder on Amodiation series, which is perfect for cozy mystery listeners who want to indulge their inner Anglomane.